15 and 25 ton hydraulic nut splitters with revolutionary design from Power Team comprise a durable one-piece cutting frame allied to a heavy-duty hydraulic cylinder. They will split the toughest nut up to grade 2H. Ideally suited to confined areas: sufficient force applied on even rusted-on or “fused” grade 2H nuts. SGS Engineering is home to a range of hydraulic tools made by Power Team. 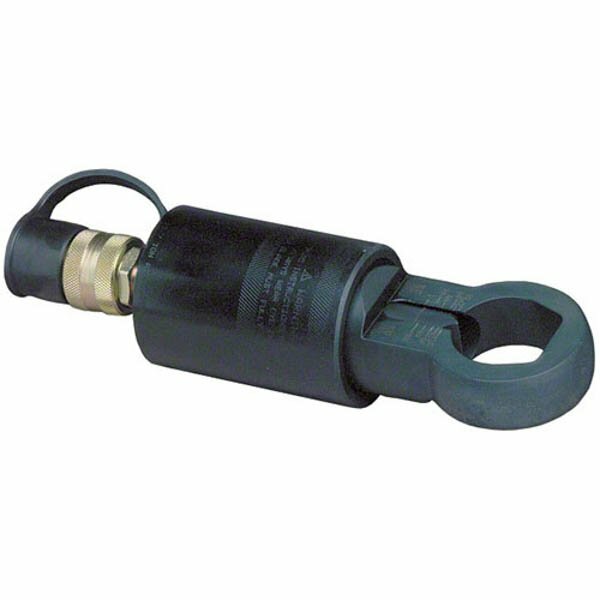 This array of top quality items includes hydraulic nut splitters, which are extremely effective. Specially-designed “tool steel” cutter blade penetrates the nut until the exact point where it cracks, preventing any damage to the bolt threads. HNS150’s “dial in” feature makes adjustment of nut splitter easy. Simple usage: split the nut on one side, spin the nut splitter half a turn and make a second cut on the opposite side. The nut separates into halves allowing simple removal. Here we offer excellent prices so if you require a hydraulic nut splitter contact us today, to discuss your needs and our prices. You can choose from three different models of hydraulic nut splitter so browse those available and find the best for you. Why Choose Power Team Hydraulic Nut Splitters? Why choose Power Team for your hydraulic splitters? Well firstly because this manufacturer is well respected across the world. Power Team produces a range of tools for a wide variety of purposes and businesses across the globe choose Power Team, having found that other tools don’t compare. Secondly, Power Team hydraulic nut splitters are extremely effective at their job. Here you can find models with a 15 or 25 ton capacity and these nut splitting tools come with a specially designed cutter blade that penetrates the nut easily to the precise point you want. If you require a hydraulic nut splitter for your business look no further. The Power team tools available here at SGS Engineering Solutions are of the highest quality, so get in touch today on 01332 576 850.